How Fast Can You Incorporate a Company in Seychelles? Offshore destinations are preferred by foreigners who want to protect their assets and among these destinations, Seychelles is one of the most reputable ones. Banking secrecy is one of Seychelles’ strong points, as financial institutions here offer complete privacy with respect to those who entrust them with their assets. However, it should be noted that among other similar destinations, Seychelles has also taken important steps in complying with the reporting standards issued by the Organization for Economic Co-operation and Development (OECD). Now, Seychelles has several double taxation agreements which follow the OECD model. Our company formation consultants in Seychelles can advise clients on some of the most important financial institutions in this country in which they can benefit from banking secrecy. We also offer assistance to those interested in setting up offshore companies in Seychelles. What does bank secrecy imply? The term banking secrecy usually refers to the ability of a bank or another financial institution to maintain the confidentiality of a client’s personal and financial information. In order to achieve that, foreign clients of Seychelles banks have the possibility of opening offshore bank accounts and offshore companies which ensure confidentiality. - register various types of ships and vessels under complete privacy of the owners’ personal information. Those interested in setting up IBC companies in Seychelles can also appoint nominee shareholders and directors in order to increase their confidentiality. However, it is important to know that the personal information of a foreign client of a bank in Seychelles can be disclosed to the tax authorities in that client’s home country if a treaty contains a clause in this sense. Our company formation specialists in Seychelles can offer more information on how banking secrecy works in this country. One of the best ways of ensuring effective banking secrecy is by setting up an offshore bank account. - when opening such a bank account, the beneficial owner must be disclosed with the chosen bank. It is also possible for foreign companies to open offshore bank accounts in Seychelles with the purpose of benefiting from enhanced banking secrecy. When opening an offshore bank account for a foreign company, the Seychelles bank will ask for information about the shareholders of the company and the company, as well as information about the person(s) who will control the account. As mentioned earlier, banking secrecy in Seychelles can be ensured by setting up an offshore bank account, however, it is also possible to ensure confidentiality by setting up an offshore company. In order to benefit from confidentiality, a foreign investor can appoint a nominee shareholder and a nominee director who will handle the opening of the company and bank account. - clients can benefit from internet banking services. Another important aspect to consider is that the client is not required to come to Seychelles for the opening of an offshore bank account. Our company registration agents in Seychelles can complete the formalities related to opening offshore bank accounts and companies in this country, so do not hesitate to contact us. Call us now at +248 4321018 to set up an appointment with our business consultants in Victoria, Seychelles. Alternatively you can incorporate your company without traveling to Seychelles. As a Valsen Fiduciaries client, you will benefit from the joint expertize of local lawyers and international consultants. Together we will be able to offer you the specialized help you require for your business start-up in Seychelles. 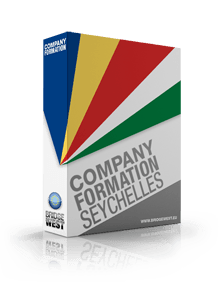 Copyright © 2011 - 2019 Company Formation Seychelles. All rights reserved.